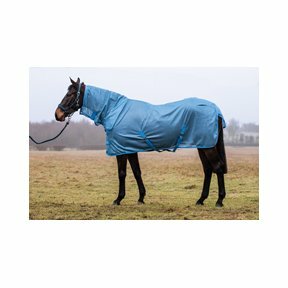 The Freedom Fly Sheet is a lightweight mesh fly rug that allows air circulate around your horse to keep them cool and prevents flies from agitating them. 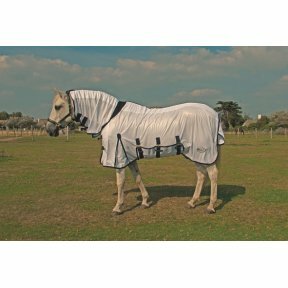 Full neck protection and a large tail large flap covers the areas prone to fly attacks and external cross surcingles help to protect the belly area. 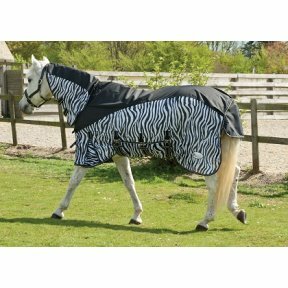 The Freedom Fly rug comes with the same features as the Freedom Turnout and Twill, like the fit and the overlap front closure with T-bar. This Great Value rug is made from a breathable, sturdy, tight weave mesh outer. Features include adjustable double front buckles with hook and loop fastenings, hook and loop fastenings on the neck, adjustable low cross surcingles, adjustable and removable leg straps with a fillet string and a gusseted tail flap. 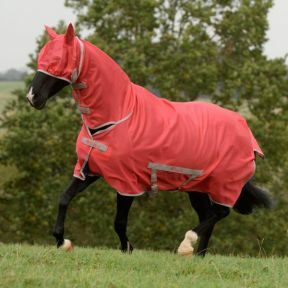 A soft mesh fly rug with an attached full neck. Featuring a Double layer Lycra insert at the withers for comfort.